Located on the Recital Editor page, the Print Detail (Recital) report shows a listing of performances, songs, length, etc. as well as the students in each performance. 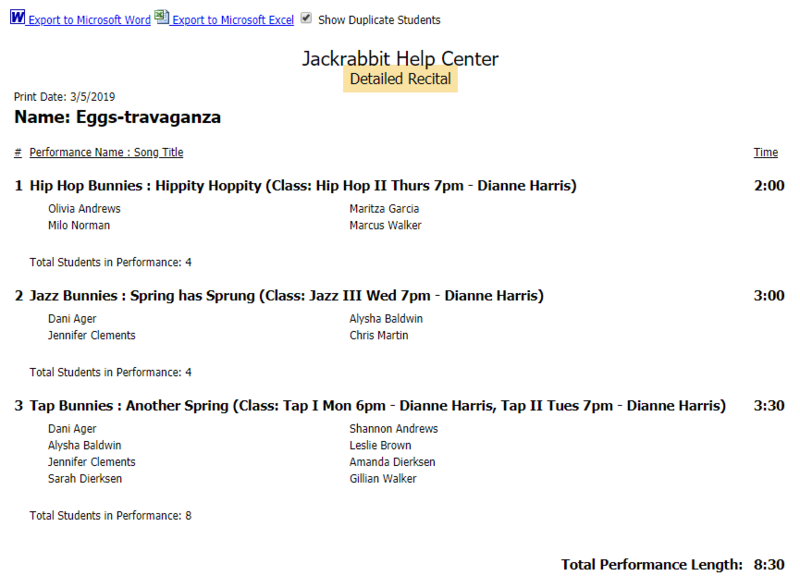 When the report displays, check Show Duplicate Students to ensure that students in multiple performances display properly. Export to Microsoft Word or Microsoft Excel using the appropriate link.